Vortex is out of Optima who was shown herself, and whose daughter Tosca was 1st at the Royal Show in 2003. Vortex was weighed at 500Kgs on 23rd Jan 2005, a DLWG of 1.82. 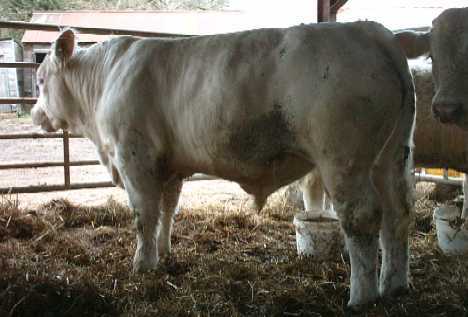 Vortex is from very easy calving lines, being by Palu and out of an Andrews Miracle cow.